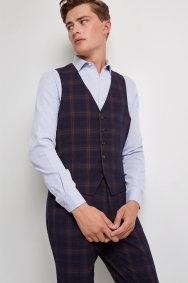 This skinny fit waistcoat is designed for sharpness with its well-defined cut and bold check. 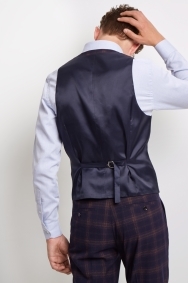 The navy back panel will make sure you still look smart when you’ve taken off the jacket. Never arrived. Still awaiting item delivery ordered. Good fit lovely material, something a little bit different .